Although Schalk's career average was .253, few complained when he was elected to the Hall of Fame. 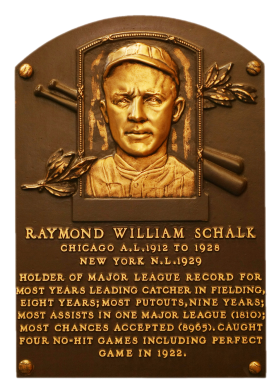 A superb catcher, Ray's game was defense. 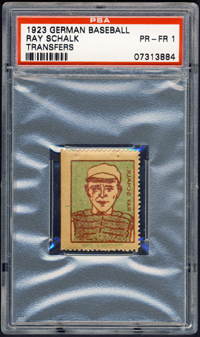 In 1920, he caught four 20-game winners for the White Sox, and four no-hitters, more than any other catcher. He holds the AL record for assists by a catcher (1,811). Untainted by the 1919 Black Sox scandal, "Cracker" went on to play another decade. Comments: My first Schalk portrait was a 1936 World Wide Gum card purchased in January, 2003. 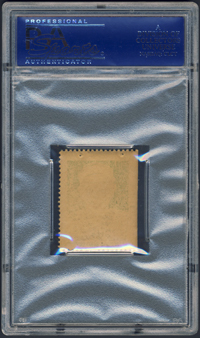 It was later submitted and slabbed VG-EX 4 by PSA. In May, 2006 I sold the card. 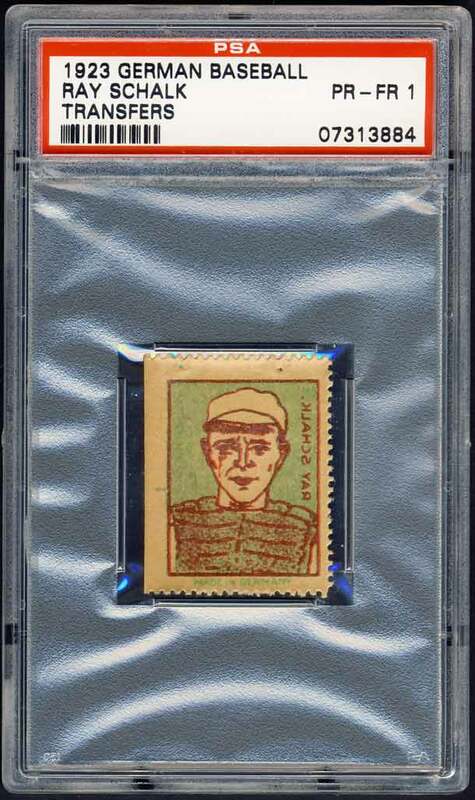 It was replaced with a 1923 German Baseball Transfers in December, 2007 to give me a new type card. I really don't like the image and it's probably one of the least favorite cards in my collection. 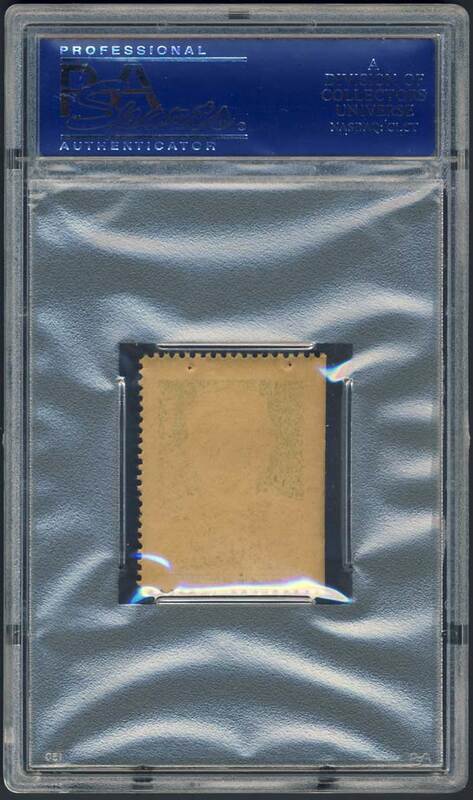 I also have a 1923 V117 PSA 5 as a backup that I purchased in January, 2005 from A.J. Sports World. 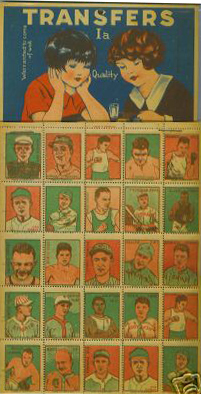 Description: With crude artwork lifted from the W515 strip card set, this issue of baseball player (and boxer) transfers was produced in Germany. 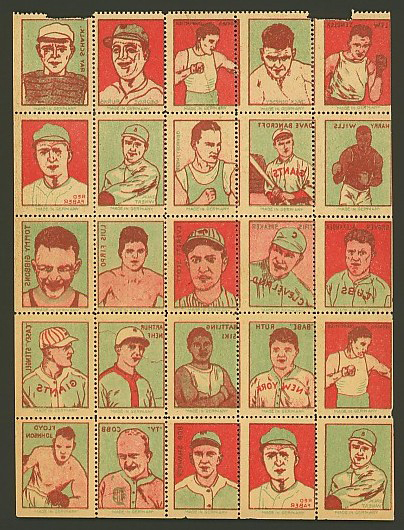 Approximatley 1-3/16" X 1-1/2", the stamps are printed in red on a green background. All of the design, except for the "MADE IN GERMANY" notation in the white bottom margin, is in mirror-image, befitting their use as tatoos or transfers.